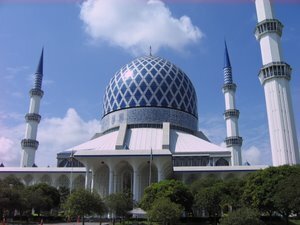 Have you been to Shah Alam Blue Mosque? 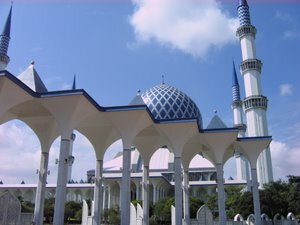 Shah Alam is located about 25 km south west of Kuala Lumpur. 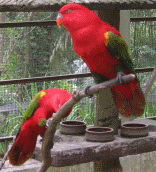 It replaced Kuala Lumpur as the state capital of Selangor Darul Ehsan when Kuala Lumpur became a Federal Territory. It used to be populated with rubber and oil palm estates but has since been transformed into a planned city with modern buildings, parks and beautifully landscaped roads. The Distinctive Shah Alam Mosque. The Sultan Salahuddin Abdul Aziz Shah Mosque is one of the most famous landmark in the city of Shah Alam. Also known as the Blue Mosque, it is one of the largest mosques in South East Asia. The blue and silver dome is 51.2 m in diameter and rises up to a height of 106.7 m. There are 4 minarets with a height of 142.3 m making them one of the world's tallest. The dome's outer surface is clad with vitreous enamel-baked triangular steel panel. It can accommodate 24,000 worshippers at any one time. The two levels main prayer hall is fully carpeted and air conditioned with the upper gallery reserved for women worshippers. The structure incorporates elements of Malay and Islamic architecture. Fine decorative khat or Arabic calligraphy can be seen on the inner curve of the dome and parts of the walls. The calligraphy work was done by Egyptian calligrapher Shiekh Abdel Moneim Mohamed Ali El Sharkawi. Aluminium grills design can be found on the doorways, windows and walls of the mosque. The windows have stained glass that reduce the amount of light that can go through the hall. The high ceiling has triangular panels of red balau and ramin timber wood that are set in criss-cross manner. Take Rapid KL bus number 63 or 338 from Kuala Lumpur and stop at the bus station near Maybank building in Shah Alam city centre. From here, take a taxi to the mosque area. The other way is to take the KTM Komuter train and disembark at Shah Alam Station. From here, take a taxi and you will reach the mosque in approximately 10 minutes time.